Two big-budget ancient epics hit this Spring and both have scored new one-sheets today. 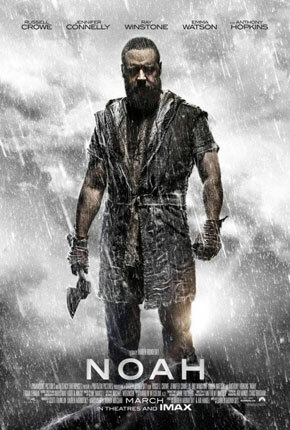 First up, Paramount Pictures has unveiled the second poster for Darren Aronofsky’s Biblical epic “Noah” starring Russell Crowe as a man called upon by God to save humanity during an apocalyptic flood. While the previous poster showcased the flood and Crowe’s back, this is much more a hero shot, almost a ‘reverse’ shot of the previous poster with Crowe ready to save the world. The other poster is for Paul W.S. Anderson’s “Pompeii,” this one shifting the artwork away from the eruption of Mt. 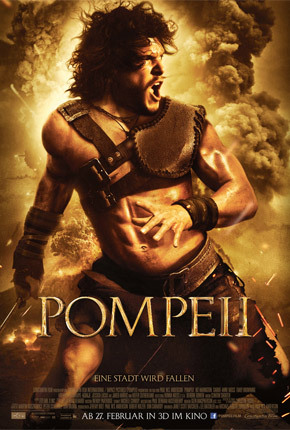 Vesuvius and putting the focus squarely on leading man and “Game of Thrones” star Kit Harington – or more importantly on his digitally enhanced abs.